Cooking with Kids – Let's Play! 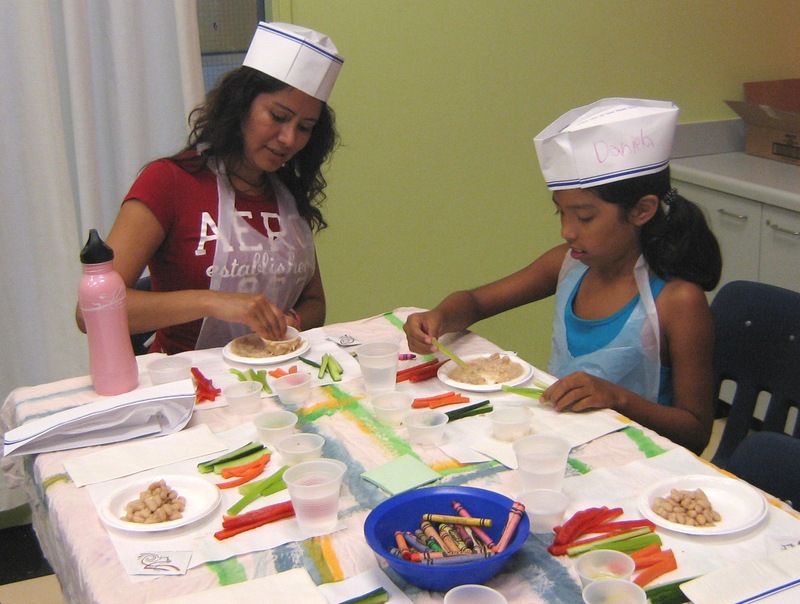 Petite Chefs: White Bean Dip with Veggies! Chicago Children’s Museum teamed up with Washburne Culinary Institute to create healthy and delicious snacks for our program Petite Chefs! Open and drain the cannellini beans. Set aside. Combine white beans, garlic, olive oil, and lemon juice in small bowl. Place in a plastic sealable sandwich bag. Seal and mash with the palms of your hands until mixture reaches the desired consistency. Cut a small slit in the corner of the bag. Squeeze dip out of the bag and return it to the bowl. Taste and add the desired amount of salt, pepper, and paprika.